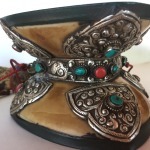 Categories: Rare Tibetan Collectibles, Antiques & One of a Kind, Dharma Items, Sacred Ritual Objects. 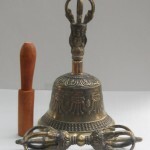 Tags: Sacred Ritual Objects, SACRED WEAPON OF VAJRA YOGINI. 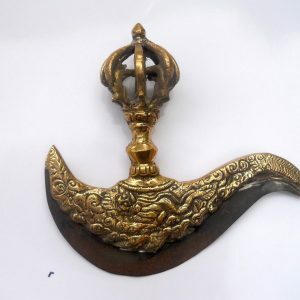 A kartika is a small, symbolic crescent knife or ‘chopper’, used in Vajrayana Buddhist ceremonies. 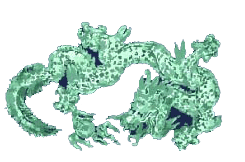 It symbolizes the severance of all material and worldly bonds and is crowned with a vajra, which is said to destroy ignorance, and leads to enlightenment. The kartika is a key ritual implement in the Tibetan Buddhist practice of Chöd, or ‘cutting through demons’. 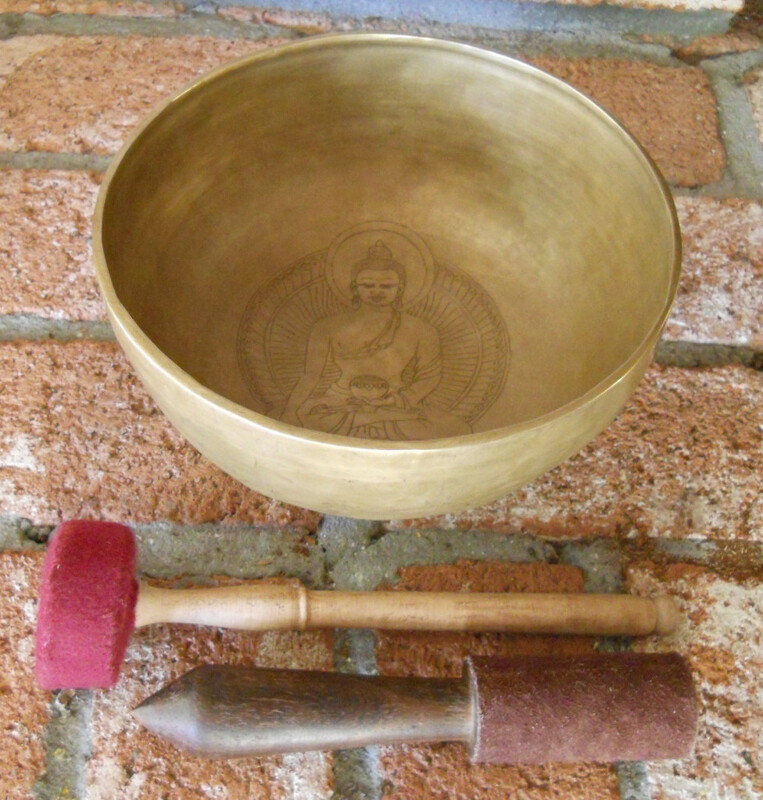 In Buddhist teachings, this tool is held in the right hand of Yama, the conqueror of death. 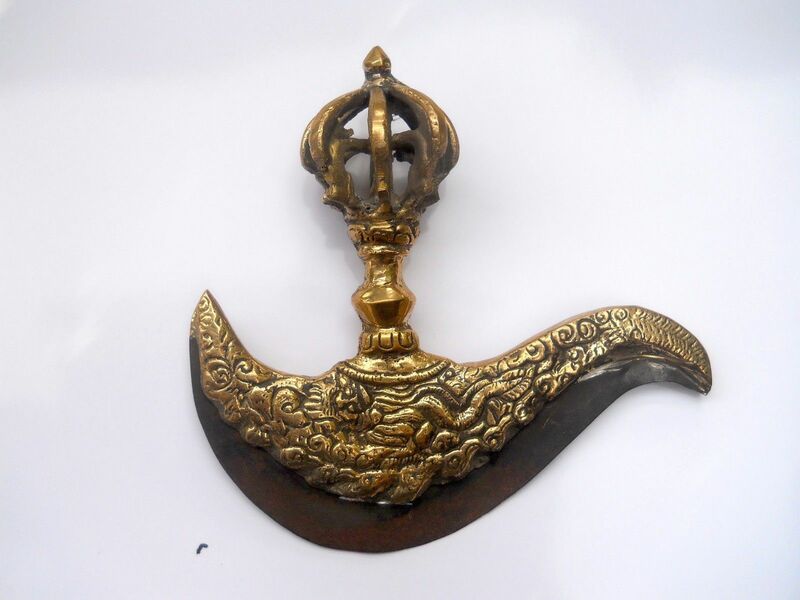 It is often depicted as one of the Sacred Weapons of the Tibetan Deity VajraYogini. 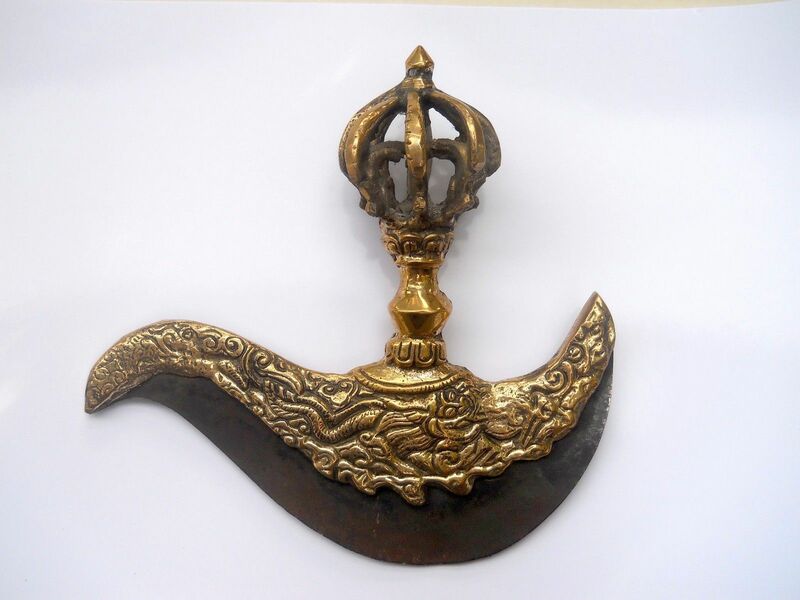 This Kartika is made of brass & iron. It measures 6.5 X 6.5 inch. A powerful transformational tool for a shaman or demon slayer. Namaste!